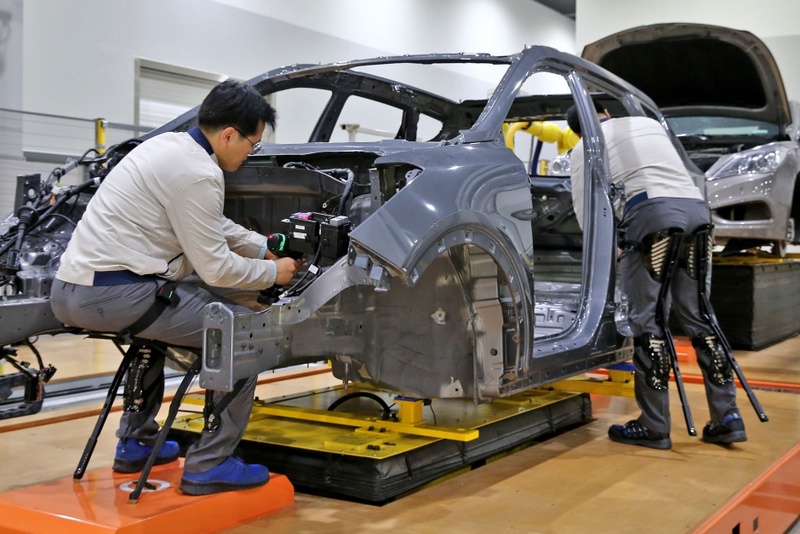 South Korean car giant Hyundai is working on the development of wearable robotic exoskeletons for use in its factories. The company – which claims that wearable industrial robots could help increase efficiency and prevent work-related accidents has already demonstrated a lower body device – the so-called Chairless Exoskeleton (H-CEX) – and is now testing an upper body system known as the Hyundai Vest Exoskeleton (H-VEX). H-CEX is designed to protect the knees and help maintain a worker’s sitting position. Weighing 1.6kg it is able to withstand weights of up to 150kg and is attached to the user with waist, thigh and knee belts. The new H-VEX system, which will be trialled in the firm’s North American factories before the end of this year, alleviates pressure on workers’ neck and back by adding 60kg of strength to the user when their arms are used overhead. Hyundai has been investing heavily in robotics technology in recent years. 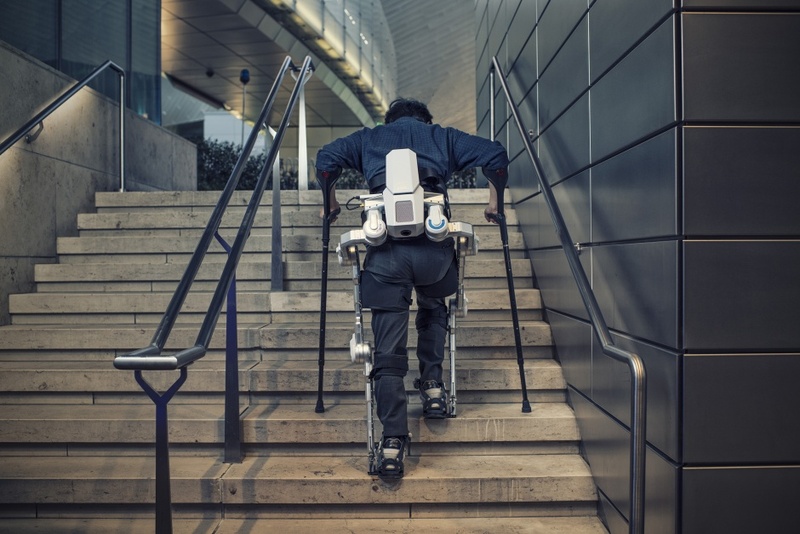 At the 2017 International Consumer Electronics Show (CES) it unveiled Hyundai Medical Exoskeleton (H-MEX), which assists paraplegics and elderly people with walking and traversing staircases. This system is currently in the process of being approved by the Ministry of Food and Drug Safety in Korea, and by the US Food and Drug Administration. A related system, the Hyundai Universal Medical Assist (HUMA), can be applied to the waist and legs to strengthen the muscles while walking, enabling users to achieve a running speed of 12km/h (approx. 7.5mph) and making it one of the fastest wearable robots in the world. Alongside wearable systems, the firm is also exploring the development of a range of service robots. These include a hotel room service robot, a system that will liaise and talk to customers in car showrooms, and an ‘electric vehicle charge manipulator’ that automatically charges an electric vehicle when it stops in front of the device. The group is also developing robotic personal mobility technologies able to operate both indoors and outside by switching between two and three-wheeled operation. As long as these devices are at worker option, do not interfere with workers natural movement or ergonomics, are not linked to increased productivity targets ( unless incidental) and don’t end up with the workers being treated like robots, then all good. Hopefully the assemblers are helped and not hindered.